Ah, those Scandinavians! Is there anything they can’t improve with a little bit of their Nordic style? Apparently not. And that now includes nappy bags as well – this one is from Ida Ising and is a beautiful display of form and function. It’s their Original Changing Bag and essentially it’s a mobile changing table. What makes it so original? Have a look at the video (below) for a sense of how it works. Basically, unlike most nappy bags, which give you a fold up mat to change your baby on, this one contains its own fold up mattress – making it the most comfortable change anywhere! The classic design will appeal to mums and dads. 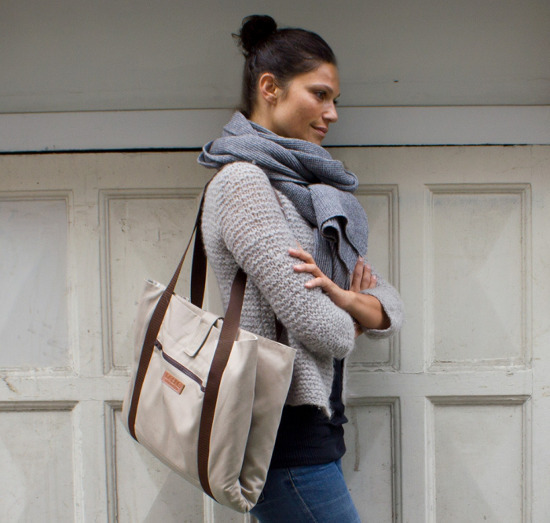 The bag is entirely washable and there are plenty of storage pockets to hold all the essentials. In many ways it’s like a scaled up version of a nappy wallet. The Original Changing Bag is a brand new product in Australia, so there are no local retailers yet, but you can pick it up from Ida Ising where the basic version begins at 999kr (roughly equivalent to $200).